If you don’t want the recently closed tabs to show any history, you can either clear mobile Safari history and cache or just use the new Private Browsing mode to prevent them from accumulating in the first place. Yes, this feature works in all vaguely modern versions of iOS for iPad, just look for the Recently Closed Tabs section. 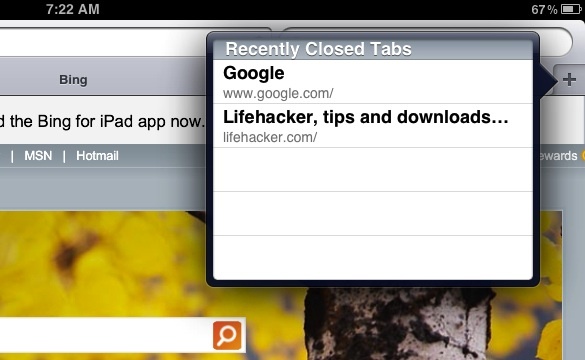 This helpful little tip comes to us from Lifehacker, and should improve your iPad web browsing experience a bit. Nice article, but you say that this was Lifehacker’s idea. In fact, they got it from Right Now In Tech, which is my blog.